There are a great many highly original and innovative monuments, statues, buildings and spaces in existence around the world. In this post we bring you a selection of a few that we’ve chosen on the basis on their qualities of effectiveness, efficiency or originality. First on the list is the Invisible Tower. 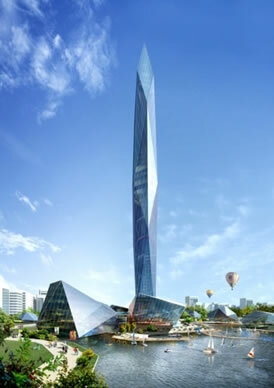 A 453-metre-tall skyscraper located in Seoul which, once completed, will feature a system of cameras and LED screens to accentuate its form. The idea, ultimately, is for these cameras to record the view from one side and project it onto the opposite side in order to create a very innovative optical illusion: it will be like seeing through the structure. 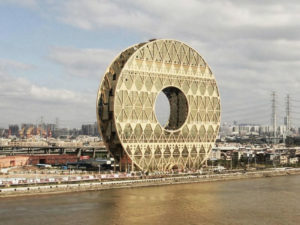 Another highly original building, particularly in terms of its shape and name, is the skyscraper known as the doughnut. 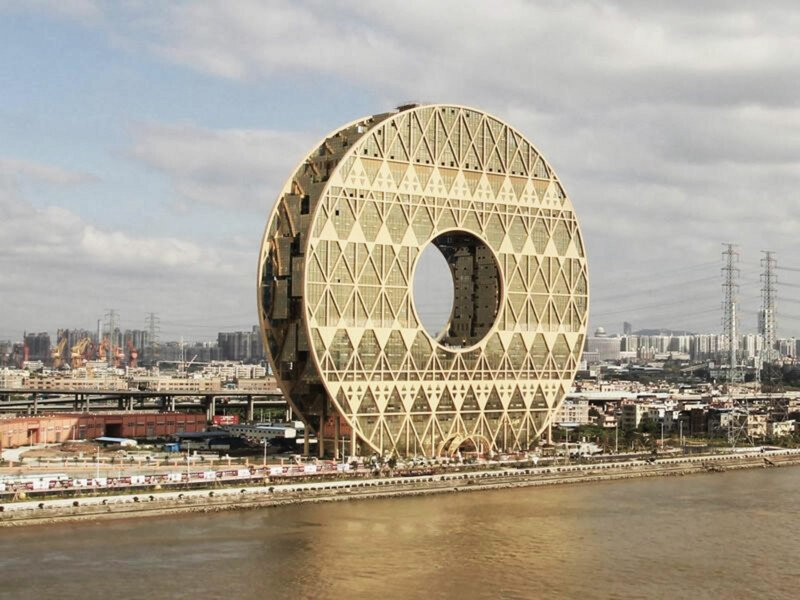 Architect Joseph di Pasquale has erected a 33-storey doughnut-shaped building in Guangzhou with a 47-metre-wide hole through its centre. 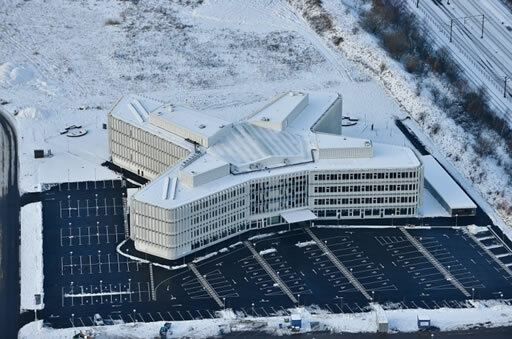 Denmark boasts one of the most accessible buildings in the world. Created to house organisations working with and for persons with disabilities, its facilities have been carefully planned to a level without precedent in any other building. 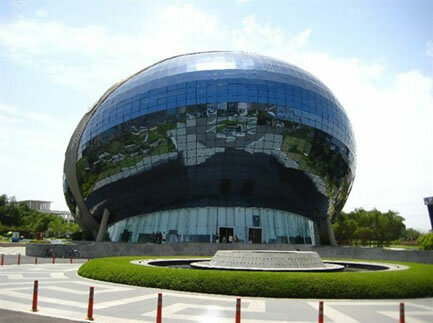 The building has been designed to do away with any kind of physical, sensory or social barrier and, if that wasn’t enough, it also consumes 40% less energy than average. The most natural and sustainable building in the world was designed by the Mithun studio, created especially for the Boy Scouts of America. 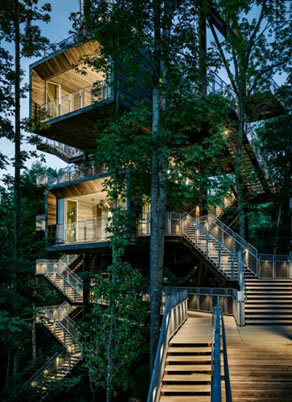 An incredible space which includes a wonderful house nestled among the branches of the trees in a concept based on a typical treehouse. This fantastic building is set on the banks of Lake Michigan in Wisconsin and is divided into three spaces: a war memorial centre, the Quadracci pavilion and the Cudahy gardens. The Milwaukee art museum is one of the most interesting modern museums around; with a floor space measuring more than 30,000 m2, it’s structure is reminiscent of the boats that sail past on the lake. The architecture of the building features a mast, bow and a kind of sail.